This week’s front page features a story regarding concerns for the safety of Finstown schoolchildren when crossing one of Orkney’s busiest roads. • A charity air ambulance being based in Aberdeen has been welcomed. • MSPs criticise the Scottish Government regarding Orkney’s ferry services. • A full programme of events marking 100 years since the armistice of WWI. • Man with 40,000 indecent images of children avoids jail. 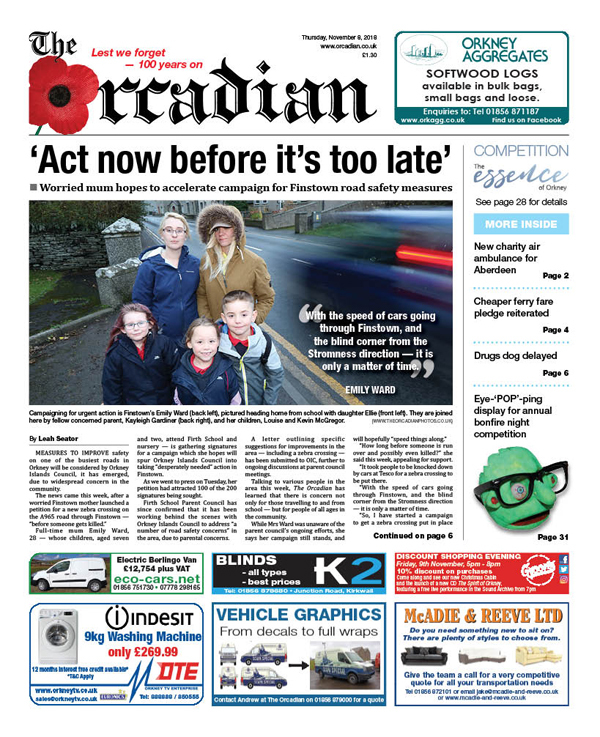 For all these stories and much more, pick up a copy of today’s edition of The Orcadian.